This was my fourth time doing this race. 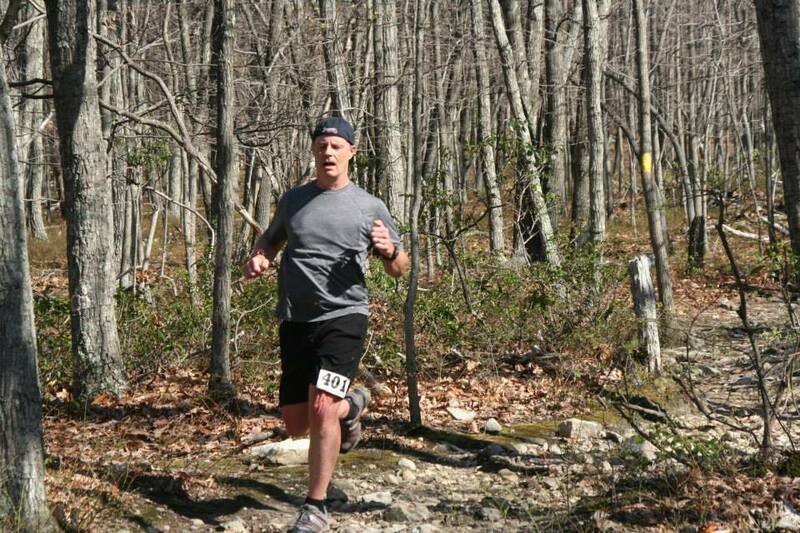 This is a VERY tough trail 10K race. The toughest that I know of. It takes place on Mill Mountain in Roanoke, which is next to the downtown area. Mill Mountain is Roanoke’s version of Central Park in New York. The race goes up up and up, corkscrewing to the top of the mountain, where the Star is, then it comes crashing down to the finish. It is roughly 4 miles or more of up hill and 2 or less of downhill. The downhill is extremely technical! My time last year was 58:03, which was my best time ever. I placed third in age group last year. Leading up to the race last week, my legs felt dead. I guess all of the heavy racing has caught up with me. I tried to run last Monday, and just did not have it. I ran 2 miles, then walked 2 miles on that training run. Unheard of! I rested the rest of the week, hoping that I could be strong for this race. We did a test run last Saturday. I felt ok, but my time was a little over a hour! Ugh. 2 minutes off of my race time last year. I hoped to at least beat out the top competitors in my age group for RNUTS. If I could do that and have a close time to last year, then that would be a relative success. 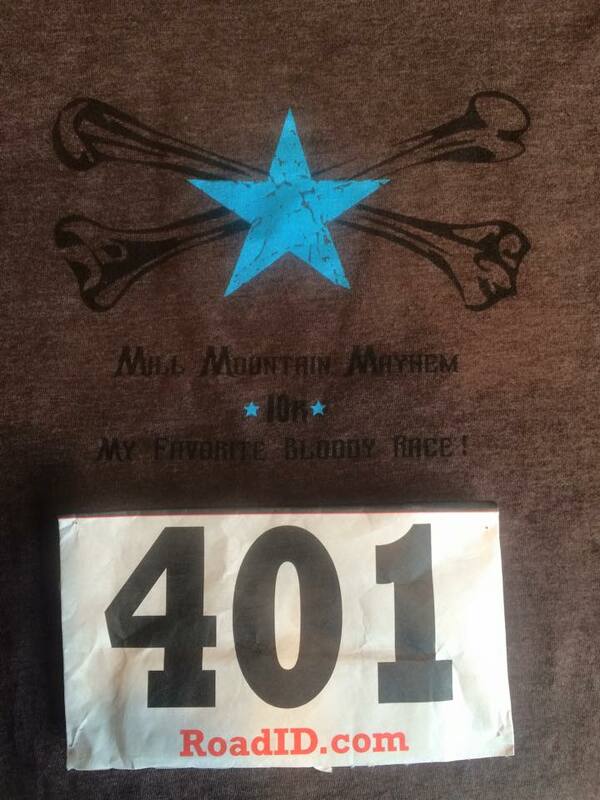 When the race started and going up the first hill, I could tell I wasn’t as strong as normal, but I kept going. The race corkscrews up around 4 miles or more, then it comes crashing down for the finish. I finally got to the top at the Star, and was so happy to be able to go down from there. I finished strong with a 58:21 time. Just a few seconds slower than last year. I am relatively happy with that, considering all of the ultras I have done this year and the tired legs. I was most happy about beating my 3 closes RNUTS competitors (at this point). Other competitors may rise, as some have not done as many races. So, I met my minimum goal. I really wanted a 57:30 time, but just did not have it this year…maybe next year. It is amazing that I placed 3rd in AG last year with a 58:03, but was 9th in AG this year with a 58:21. What a difference in the AG! My AG also had the most participants in it. Four from my AG made the top 20 overall, but none place in top 3 overall or got Masters. I thought I would have gotten at least 5th, in predicting before the race, but I was way off. Friends that did well: Matt Togo in his first MJ race in several years was 5th in my AG. Karen Dillon got 3rd AG. Tabitha Walker got Masters. Doug Falls got 2nd AG. HT Page got third overall. James Decker got Masters in his first event eligible for a Master. Congrats to them. Categories: 10k, get outside, montrail, mountain junkies, outside, roanoke, roanoke outside, Running, Trail, Trail racing, Trail running, Trailrunning, virginia | Tags: 10k, adventure, mill mountain mayhem, mill mountain mayhem race report, mountain junkies, non ultra, roanoke, roanoke outside, roanoke star, running, trail running, virginia | Permalink.